It was one of those stifling hazy, hot and humid summer days. 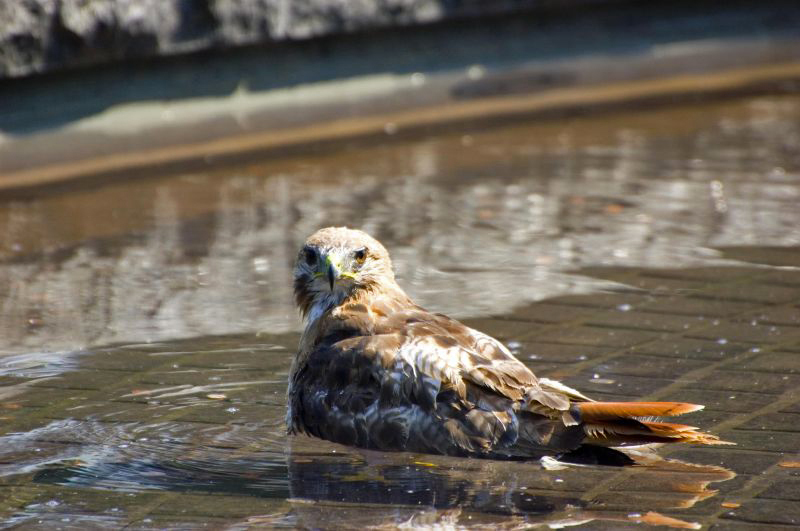 That had to be the reason that this red tailed hawk, who normally would stay far away from humans, decided to take a stroll in the fountain at the Botanical Gardens. 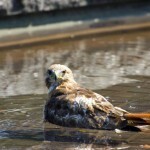 He stayed there for a few minutes and cooled off. He flew off after he figured out that he was drawing quite a crowd.